Criminalize Conservatism: The Torture Report, Brought To You By Your Friendly Conservatives. The Torture Report, Brought To You By Your Friendly Conservatives. Few believe that the Conservatives actually hate democracy, and few know how much they hate the Constitution, but in their guise as "Republicans," they've been trying to obliterate everything that smacks of democratic ideals and principles for a long time. "There Is Something Worse Than Torture in the Senate Torture Report." "It's not the torture—it's the CIA lying. 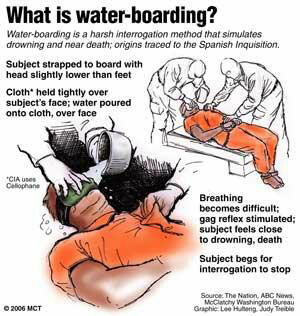 "There is something more troubling in the Senate intelligence committee's torture report than the brutal depictions of the extreme (and arguably illegal) interrogation practices employed by CIA officers in the years after the 9/11 attacks: the lying. "The accounts of rectal rehydration, long-term sleep deprivation, waterboarding, forced standing (for days), and wrongful detentions are shocking. And the committee's conclusion that CIA torture yielded little, if any, valuable information (including during the hunt for Osama bin Laden) is a powerful counter to those who still contend that so-called enhanced interrogation techniques are effective. But the report presents a more basic and profound question that the nation still faces in the post-torture era: Can secret government work? 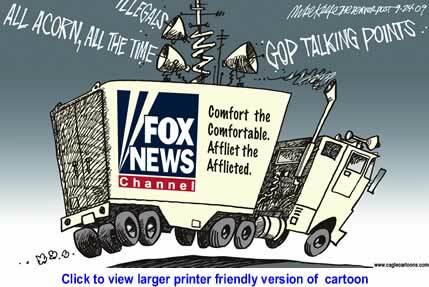 In fact, while pundits and politicians are pondering the outrageous details of the executive summary, not many have realized that the report, in a way, presents a constitutional crisis..."
"Fox News Freaks Out And Claims Torture Report Is A Conspiracy To Distract From Obamacare." "Like clockwork, Fox News and Rush Limbaugh are in full paranoid conspiracy mode and claiming that the release of the Senate’s report on torture is a conspiracy to distract from Obamacare. "Fox’s Jesse Watters went right into the conspiracy, 'I don’t want to know about it. I think people do nasty things in the dark, especially after a terrorist attack. I find it ironic that they’re dropping this report on the same day Gruber’s testifying to know that out of the front pages. But I mean the Senate Democrats, they’re just trying to get one last shot at Bush before they go into the minority. And they didn’t even interview any of the CIA interrogators for their report. It’s kind of like how Rolling Stone does their reporting. 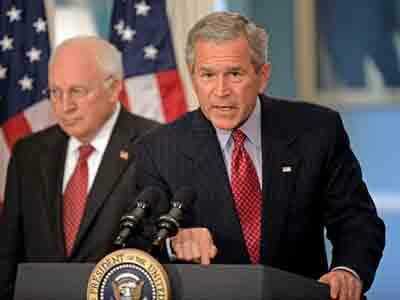 They only get one side...'"
"Bush Received More Warnings About 9/11 Than We Realized." "The Bush White House ignored even more warnings about September 11 than we thought, according to journalist Kurt Eichenwald, who has a column in the NYT and a new book out today. "We already knew about the presidential brief from Aug. 6, 2001 that was titled 'Bin Laden Determined to Strike in U.S.' The White House has shown that this declassified document was primarily a history of Al Qaeda, not a warning of imminent attack. "But there were other briefings, some seen by Eichenwald, that did warn of an imminent attack. "On May 1 the CIA said that a terrorist group in the U.S. was planning an attack. "On June 22 it warned that this attack was "imminent." "On June 29 the brief warned of near-term attacks with "dramatic consequences" including major casualties. "On July 1, the briefing said that the terrorist attack had been delayed but "will occur soon." "On July 24, the president was told again that the attack had been delayed but would occur within months. "These and other similar warnings were ignored by the White House..."
And as a picture is worth a thousand words, let's see what's available on the net today. And you remember this one, don't you? For any of us that are too young to remember anything about our invasion of Iraq and the subsequent stories and photos about the torture that the Cons authorized, it probably is shocking. For those of us who are old enough to remember, though we wish we didn't, the Torture Report is a reminder that Conservatives are the most criminally inclined bunch of thugs that we can remember. Conservatism is a vast, criminal enterprise and should be treated accordingly. those who would 'save the world."